Furrow irrigation is an irrigation where farmers flow water down small trenches running between their crops. Furrow irrigation works well for row crops, tree crops, because water does not directly contact the plants, crops that would be damaged by direct inundation by water such as tomatoes, vegetables, potatoes and beans. minimizing water loss inefficiencies in gravity irrigation systems will allow irrigators to save money and labor. lower pumping costs per acre-inch of water pumped. furrow irrigation practice can minimize irrigation costs and chemical leaching and result in higher crop yields. an increased level of tail water losses; and the solution is to build retention ponds along the edges of fields that help capture this runoff, allowing it to be pumped back to the upslope side of the field for use in further irrigation cycles. needing to level and remove any small hills that would have been bypassed by the gravity flow of the water because difficulties of furrow irrigation is ensuring uniform dispersion of water over a given field. 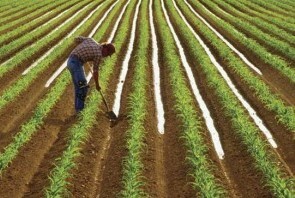 That's all of furrow irrigation advantages and disadvantages that is the oldest oldest methods of irrigation. 0 Response to "Advantages and Disadvantages of Furrow Irrigation"